You are here: Home › Blog › Involved in a car accident? It is critical you don’t make these 5 mistakes! – advice from a car accident attorney in Plantation. It is not uncommon that when a car accident occurs, especially when no one has been hurt and there is no significant damage to either vehicle, the involved parties do not call the police. What they do instead is simply check the cars for scratches and dents and discuss on the side how it can be handled without the authorities’ involvement. Why is this a mistake? Well, it is a big mistake because in many states, including Florida, it is illegal to leave the scene of an accident without first having reported it to the police. As a matter of fact, if you don’t report the car accident immediately, you may end up with a considerable fine or even jail time. Our Car accident attorney in Plantation says: don’t consider contacting the police as an burden that puts unnecessary paperwork on your shoulders. Think about it this way: You will have a trusted record of exactly what happened. And this is for the benefit of everyone involved. All parties will be protected just in case the driver at fault tries to shift the blame. Always get a legal police report documenting who was at fault and exactly what happened. This will ensure you won’t have any unexpected (and perhaps false) accusations flying at you in the future. Believe it or not, some people do leave the car accident scene without taking down the other driver’s details for insurance purposes. Failing to get the necessary information may render their insurance claim useless. If you found yourself involved in a car accident in Plantation, always be sure to ask the other driver for their full name, proof of ID, as well as his or her contact and insurance provider details. In order to start your claim, it is vital you call your insurance company as soon as possible. Obviously, it is usually not the first thing on people’s’ minds and they usually wait a day or two before they give statements to their insurance company. But don’t delay. You will surely receive valuable advice and they will make sure you stay on the right track. Did you know that if you delay seeking medical attention, the insurance company may decline to pay the bill? This is certainly decided on a case-by-case basis, but don’t take the risk of paying your medical bills out of pocket. 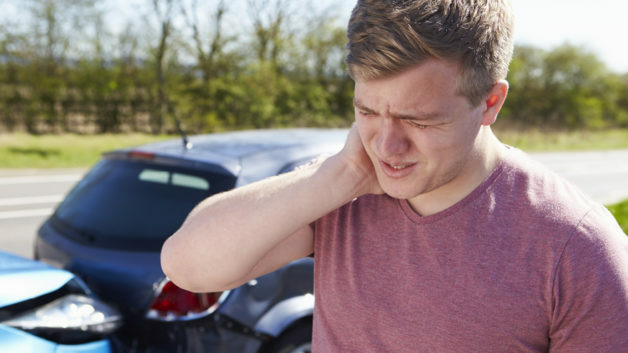 It is about your health first, so keep in mind that even the most minor accidents may cause injuries that are not noticeable at first, such as whiplash or concussion. Don’t put yourself in a situation when you and the other party involved in a road collision decide not to contact a car accident attorney and try just deal with the damage on your own. Bad idea! Imagine now that the other party goes home, changes their mind, and contacts their car accident attorney in Plantation in order to chase the other person, who may or may not be at fault. Always seek legal advice about your case from a professional who will help you understand how to move forward in handling your claim in a protective manner. If you want to be sure that the insurance companies give you just compensation for your injuries, possible rehabilitation, time off work and emotional distress, don’t fail to contact your car accident attorney in Plantation at your earliest possible convenience. This article and others on this site do not constitute a legal opinion or advice. Interactions on this website do not create an attorney-client relationship and do not serve as a replacement for consulting with an attorney. This article is for general education purposes. If you are seeking legal advice, contact an attorney.